Official CW description and preview images with spoilers for the Supernatural episode "Absence"
The CW has released a very short description for “Absence” which is the Thursday, April 11 episode of Supernatural, and this doesn’t sound too good for Jack now, does it? UPDATE: The CW has finally released some preview images, which feature the return of Cas (Misha Collins) to an image gallery, and Ruth Connell is back as Rowena! You can check out the new photos below. 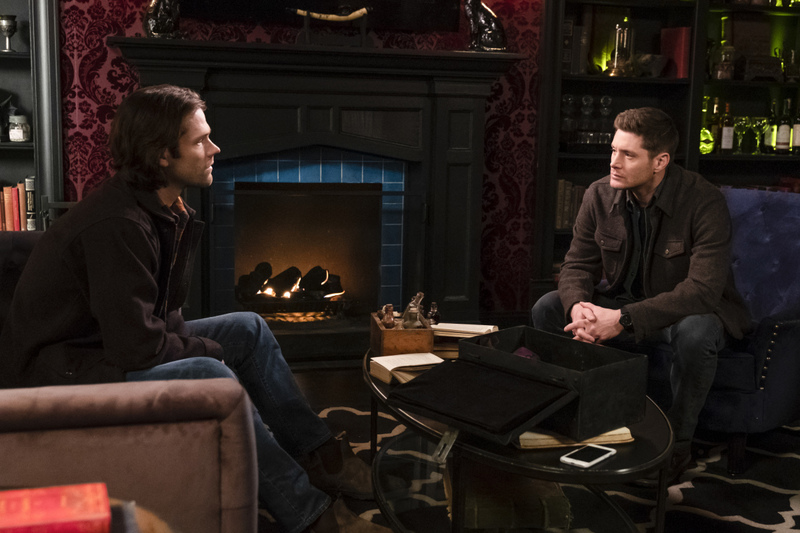 Supernatural -- "Absence" -- Image Number: SN1418a_0029b.jpg -- Pictured (L-R): Jared Padalecki as Sam and Jensen Ackles as Dean -- Photo: Katie Yu/The CW -- ÃÂ© 2019 The CW Network, LLC. All Rights Reserved.